Given a generic family \(Q\) of 2-dimensional quadrics over a smooth 3-dimensional base \(Y\) we consider the relative Fano scheme \(M\) of lines of it. The scheme \(M\) has a structure of a generically conic bundle \(M \rightarrow X\) over a double covering \(X \rightarrow Y\) ramified in the degeneration locus of \(Q \rightarrow Y\). The double covering \(X \rightarrow Y\) is singular in a finite number of points (corresponding to the points \(y \in Y\) such that the quadric \(Q_y\) degenerates to a union of two planes), the fibers of \(M\) over such points are unions of two planes intersecting in a point. 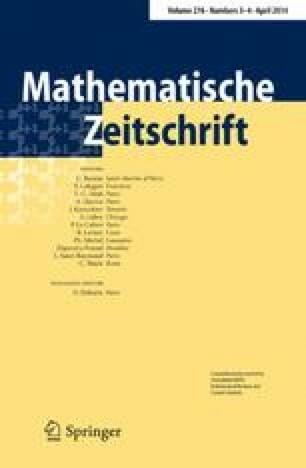 The main result of the paper is a construction of a semiorthogonal decomposition for the derived category of coherent sheaves on \(M\). This decomposition has three components, the first is the derived category of a small resolution \(X^+\) of singularities of the double covering \(X \rightarrow Y\), the second is a twisted resolution of singularities of \(X\) (given by the sheaf of even parts of Clifford algebras on \(Y\)), and the third is generated by a completely orthogonal exceptional collection. I was partially supported by RFFI grants 11-01-00393, 11-01-00568, 12-01-33024, NSh-5139.2012.1, the grant of the Simons foundation, and by AG Laboratory SU-HSE, RF government grant, ag.11.G34.31.0023. I would like to thank L.Katzarkov, D.Orlov, and Yu.Prokhorov for helpful discussions. I am also grateful to the referee for valuable comments.